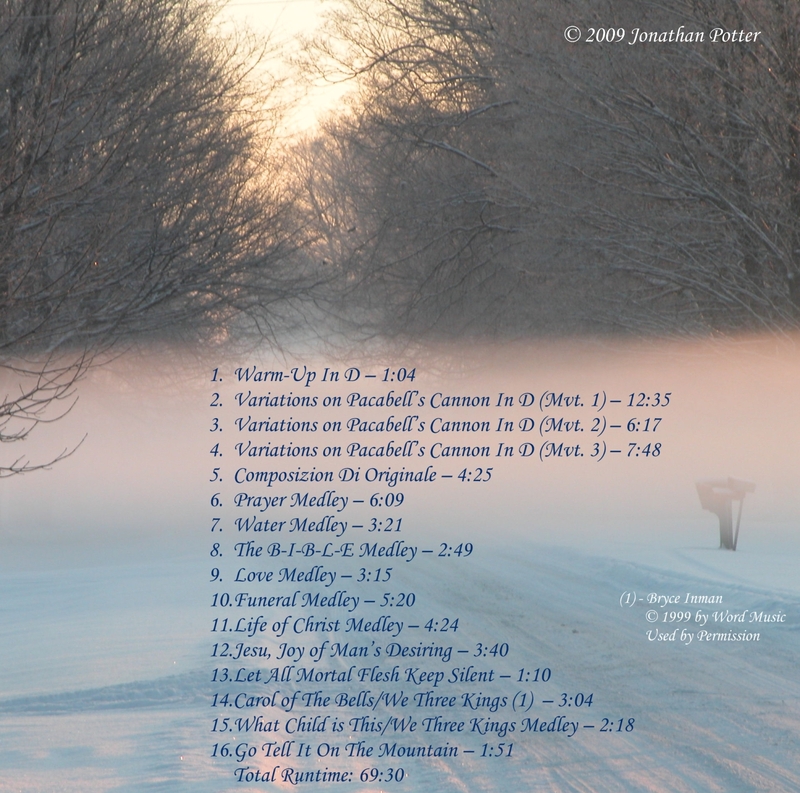 CD – My first album of Christmas music, hymns, and easy listening. Six years after the first release, I don’t remember who’s idea it was, what made it a priority, or many other details. 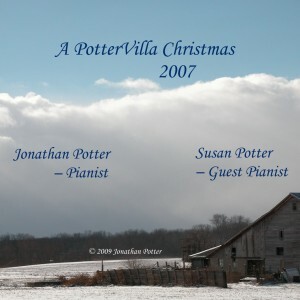 However, I do remember that my first album, A PotterVilla Christmas, was received much better than I anticipated. The first batch were ordinary CDs burned in my computer, and covered in a hand-cut label from the local print shop. 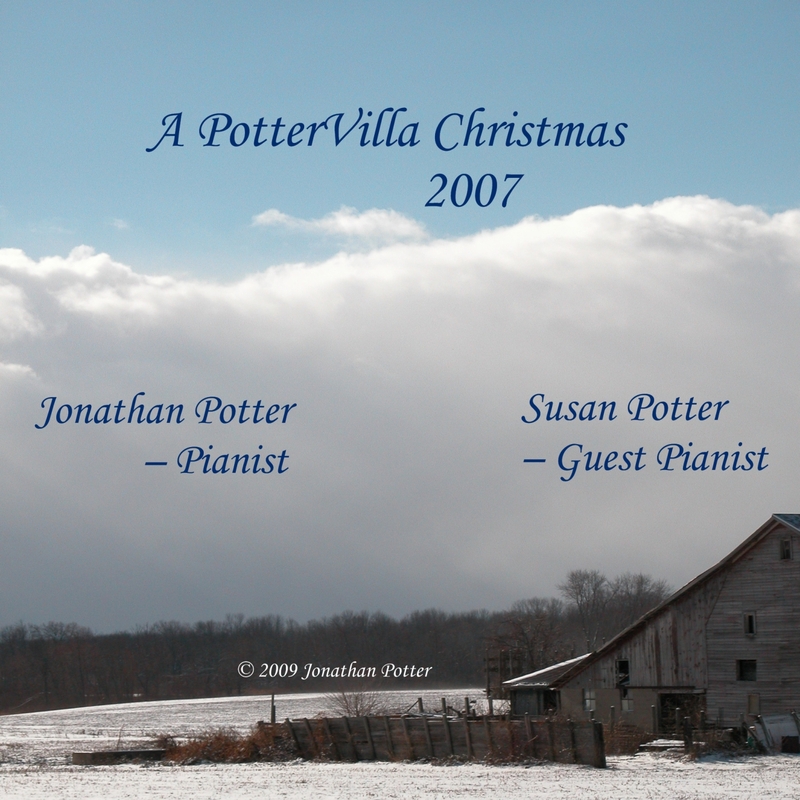 A PotterVilla Christmas contains some of my earliest “real” arrangements (mostly medleys, as you can see). The B-I-B-L-E medley, with it’s simple motif and familiar hymnody was my first small scale ‘hit’–I still remember the first time I played that as an offertory, folks really enjoyed it. (as in, the chief end of man is to glorify God and enjoy Him forever.) Personally, I’ve felt for a year or two that this medley needs reworking to bring it up to my current standards. Maybe I’ll release it as a single someday. After selling out of my first, homemade edition of A PotterVilla Christmas, a friend and mentor told me about a site called Kunaki (where I still have CDs produced today). They churn out beautiful, high quality disks that work in any player, with the label printed directly on the disk, and nestled in beautiful jewel cases. 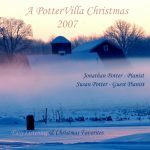 So, when I finished my second CD in 2009, PotterVilla Reflections, I re-issued the PotterVilla Christmas album through Kunaki, and have been thrilled with the results. I did drop three songs which were on the original album, numbers which were copyrighted by Hal Leonard and Alfreds Publishing. For the few minutes of audio they provided, it was a substantial cost per disk (more than the cost of professional replication), and took 3-6 months to work out the copyright details. So the homemade disks became the special extended edition, and my higher quality regular edition became shorter. On later CDs, I’ve stayed away from copyrighted works entirely, favoring instead my own work and public domain material. However, Carol of the Bells still sticks around as the one piece by another publisher that you can find on my disks. A word about “Variations on Pachelbel’s Cannon in D”: these were the best of several improv sessions I recorded, using the famous chord structure of Pachelbel. Improvisation is still at the core of my creative process, but in later years I’ve moved it further away from the final product. Some improv was included on my PotterVilla Reflections disk, but not as much. And you won’t find any on my forthcoming album (to be released Fall 2013). What you have here is pleasant background music, easy listening, and a window into my creative process. 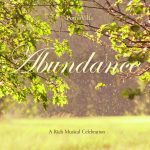 The audio for this album was recorded at Ainger Bible Church (my church) on their Yamaha baby grand piano. The quality is admittedly lower than my newer work, but I think you’ll find it sufficient to be enjoyable. (Listen to the demo for a snapshot.) There’s quite a bit of “room” sound compared to a normal studio (the sanctuary has 30 foot ceilings), and there was a lot of foot work involved. I’m both the pianist and recording engineer, and the sound equipment is on the opposite side of the building from the piano! The positive response to this album was really what started it all, and why I’m now working on my third album. God has blessed me through your support. And that’s the story of my first album!